a. All application forms must be submitted either online or in hardcopy at the LCA offices with a professional curriculum vitae. b. 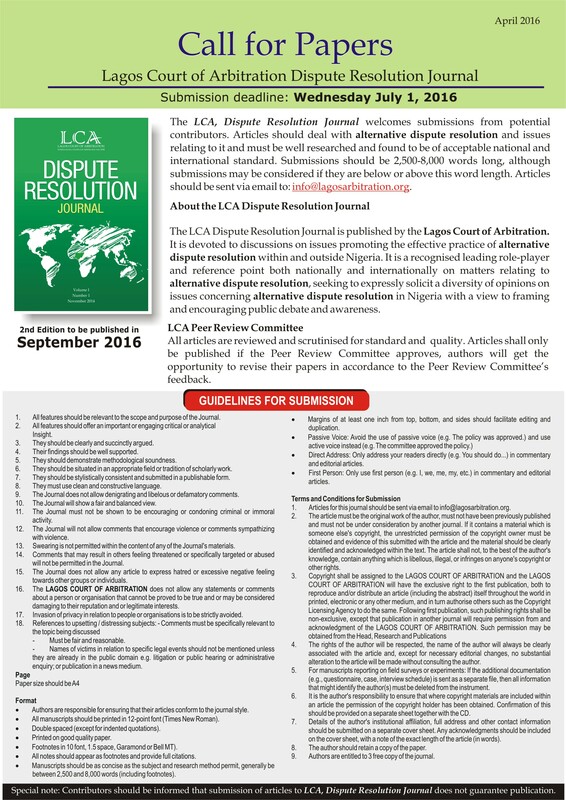 The application form must be accompanied with the membership dues which can be paid by either cash, cheque or electronic transfer to the Lagos Court of Arbitration, account number, 0001224652, sort code, 068150015, Standard Chartered Bank Nigeria Limited, Ahmadu Bello Way, Victoria Island, Lagos. c. Applications are reviewed by the LCA Board of Directors who reserve the right to deny applicants at their sole discretion, where rejected, a partial refund will be given. d. Membership is valid for twelve months calendar months after payment of membership fees has been confirmed.